Matt is an assistant professor in the UPEI Faculty of Sustainable Design Engineering with a background in mechanical engineering and a focus on energy sustainability. 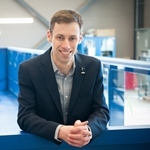 His graduate work at the University of Victoria and the University of Maine was in design, modelling, and testing of floating offshore wind turbines. Ongoing research interests range from wind turbine, floating platform, and mooring modelling to design optimization and local renewable energy integration. Patrick completed his BSc with Honours in Physics at UPEI and is researching shared mooring systems for floating offshore wind farms. His work explores the usefulness of shared mooring lines in floating offshore wind turbine farms and how they could affect farm cost and stability. Through numerical simulations, he investigates the dynamic effects of connecting multiple floating offshore wind turbines in different arrangements using different mooring systems. Kellen’s primary research focus is the numerical modeling of friction between the seabed and the mooring chains of floating offshore wind turbines. Payton is second year student at UPEI looking to pursue mechanical engineering. 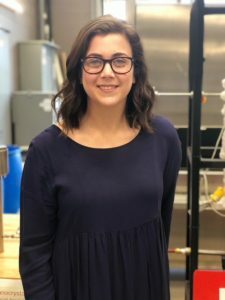 Her research focuses on the development of a wavemaker for the wave tank at UPEI that will be used to test floating structures. Samuda completed his BSc in physics and is an engineering student at UPEI. 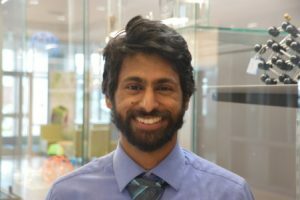 His research project deals with computer simulations of wind turbines being operated for active power control. 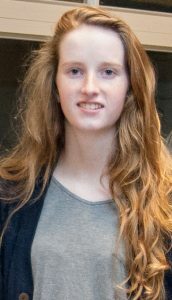 Erin is entering her second year of engineering at UPEI. Her project surrounds tidal power and conditions that allow for the implementation of tidal stream generators. Through this topic she is exploring instruments that measure flow speeds and using this information to determine the possibility of tidal turbine installation around PEI. Crystal is pursuing a Master of Arts degree in Island Studies. Her research focus is on climate change mitigation through renewable energy and the impact that climate, economics, legislation, and islandness have on the adoption of renewable energy solutions on small islands, particularly PEI. Crystal is also the Chief Financial Officer of the PEI Energy Corporation, a provincial Crown corporation tasked with developing and promoting energy systems in PEI.